Chris Roberts was born in Long Beach, California. 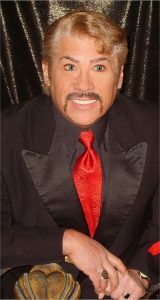 Chris and his wife, Susie Rose, have entertained over a quarter of a century as a singing duo in a popular Nevada Casino. He has five patented inventions of different products, one being the Taco Trap that was displayed on supermarket aisles for several years. He wrote and recorded the popular novelty Christmas song, “It’s a Climate Change Christmas at the North Pole,” which is still available on iTunes and Amazon. Currently he devotes most of his creative efforts to writing where he lives, near Prescott, Arizona. My childhood experiences, reading Stephen King and Dean Koontz books and all the horror sci-fi movies I can watch! I like to discuss my stories with my wife and she jots down notes. I will write down and develop my characters before I start on a book. I like to imagine movie scenes as I write. How would the story look in a movie, what would the characters say, how would they act, etc. Take you time and refine, refine, refine. Wanted to try the Amazon KDP Program since we buy almost everything on Amazon and have always had a good experience with them. Not quite sure at this time.